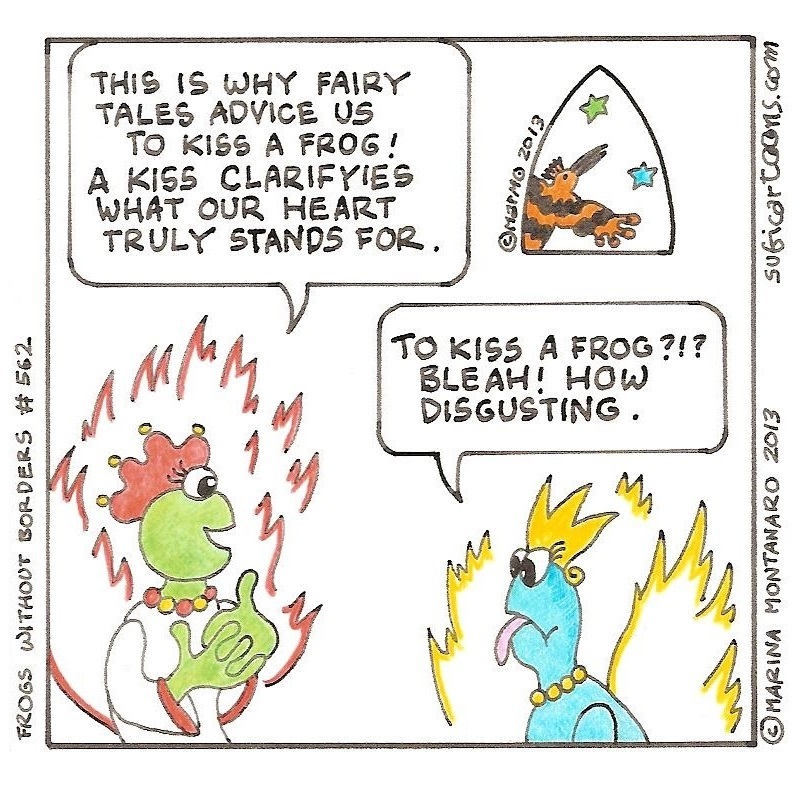 This is why Fairy Tales advice us to kiss a frog! A kiss clarifyies what our heart truly stands for. To kiss a frog ?!? Bleah! How disgusting.